For me, one of the greatest advantages of living in Scotland is the ability to enjoy the countryside around me! Whenever I choose I am fortunate to be able step out of the front door of my cottage on to the hillside and roam across the landscape, as long as I do so responsibly. I’ll often walk to places far from the beaten track and not see another soul for hours, discovering places I never knew existed and sometimes feeling like I might be the first person in years to have explored a certain area or to have had the opportunity of appreciating an unusual land formation, hidden cave or secluded waterfall. Somewhere in my subconscious I keep on waiting to hear a farmer cry “get off my land!”…but I’m in Scotland, so that call will never come, after all, up here we have the wonderful ‘right to roam’ and enjoy the natural riches of our beautiful landscape. This right has to be part of what makes our country so special and each one of its inhabitants so blessed. It also has to be one of the things which helps attracts so many visitors to our shores. This blessing is not bestowed in all of Great Britain, all the land throughout the UK belongs to someone, but in England if you go on to land without the owner’s permission, you are trespassing! There are exceptions of course, for example if there is a right of access for the public, or if you personally have the right to pass over the land to reach some land of your own. But it’s not like here in Scotland where, happily, we are not bound by the same restrictions! 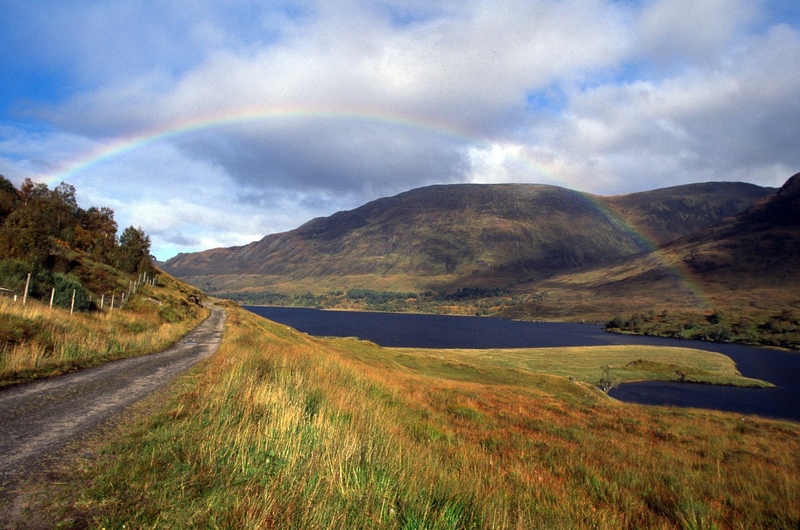 The Land Reform (Scotland) Act 2003 established universal access rights to most land and inland water and it is this act which ensures that no matter who you are, you can responsibly enjoy the varied, and often breathtaking, terrain of this most unspoilt of lands. With so many activities in today’s society incurring some type of cost for those who wish to partake, the fact that Scotland offers so much potential enjoyment for free is not to be sniffed at! So roam, explore, discover and revel in our limitless fine lands with the peace of mind that the only price you will pay is that of being respectful of others right to do the same! Previous PostWho wants to be a MILLIONAIRE?Next PostNot a dicky bird?